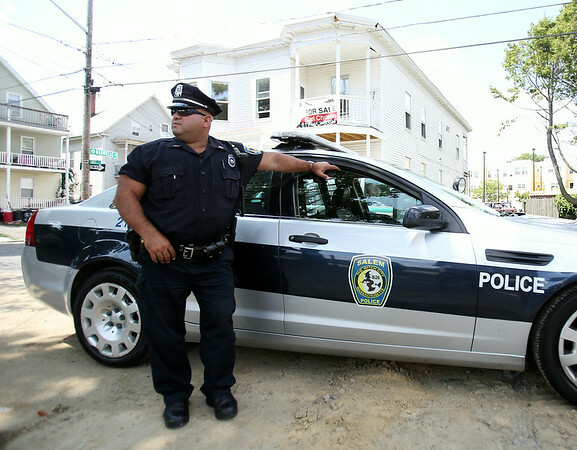 Salem Patrolman Victor Ruiz stands on Leavitt Street in the Point Neighborhood on Tuesday afternoon. The Salem Police Department has been beefing up its presence in the neighborhood, especially at nighttime when outdoor parties and gatherings could occur. DAVID LE/Staff photo. 7/29/14.